Are you thinking about a divorce? Is your relationship going sour? Victim of abuse by your spouse and need to get out? You aren’t alone, and there are many people like you in Grosse Pointe Woods who need advice about how to end a bad situation. Divorce is not an easy process legally or emotionally and psychologically, but, with good guidance and counsel, you can get to the light at the end of the tunnel. However, you shouldn’t go it alone in filing for a divorce. Especially if you have children with your spouse. The statutes and court rulings that control getting divorced are complicated and daunting for anyone who wants to go it alone. You should strongly consider hiring a Michigan attorney experienced in family law and divorce who can help you navigate the complex waters of family law and the divorce process. Can I File a Divorce Myself? Yes, you can file for a divorce or for custody of a child without an attorney. You do not need to have an attorney to represent you during the entirety of the divorce or custody process. In fact, there are some websites that claim they can give you all the tools you need to go DIY with your divorce. Bad idea. Going it alone in divorce, just like in most things in life, without someone to guide you with good counsel, is a bad idea. And no, this isn’t the kind of thing you can watch a YouTube video about a couple of times and can feel confident and ready about the outcome. 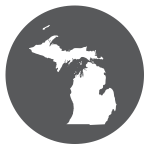 When it comes to divorce in Michigan, you are at an extreme disadvantage if you do not have representation. A Grosse Pointe Farms attorney with family law experience and who handles divorce cases regularly can help you from the start in terms of how to ask the Court for the relief that you want and to ensure that you get the maximum that you are allowed under law. There are a lot of assumptions when people get divorced. For example, most people assume that they can only get 50% of the property estate no matter what. That assumption is not always correct. A lot of people looking for a divorce or who are seeking custody assume that the mother of the child will be awarded primary custody of the child. Others assume that they are supposed to get joint legal and joint physical custody of the minor child. Both assumptions are incorrect. In Michigan, there is a complex, multi-step process by which Courts must determine which parent gets custody. That process is centered around consideration of the best interests of the child. The Courts are required to consider 12 factors, weighing evidence presented by each of the parents, and after applying that evidence to the factors, decide who gets custody, and what amounts of parenting time each parent should get. How Many Issues Could There Really be in my Divorce? Well, each case is different. Some cases will have fewer issues than others. However, in every divorce, you will have to figure out how to divide property and things that you have acquired while you were married. If you own a home, decisions will have to be made as to whether one person will buy the other out, or if the house must be sold and the proceeds split equitably between the parties. Is any of the Grosse Pointe Shores property an inheritance or separate property of you or your spouse? If so, is it subject to division, or is it solely the property of the party who inherited it or to whom it belongs? Spousal support, or what we formerly called alimony, may also be an issue. In order to determine whether spousal support is appropriate, there are 13 factors the Court must consider to make that determination. However, the Court Rules also require that if you believe you are entitled to spousal support, you must ask for it in a certain manner, and your request must be made in compliance with the Court Rules. If there are minor children involved, there are issues about custody, parenting time, and child support. All of those issues are complex and based on factors the Court must weigh, based on the evidence presented by each party. Child support is calculated by a formula, and so, many people simply assume that if they make more money than the other party, they will be required to pay support. However, things, aren’t as simple as looking at incomes and parenting time overnights. There are guidelines that can be applied to the formula, which may substantially increase or decrease the amount of income that can be attributed or imputed to either party. The fact that you or your spouse may be unemployed does not mean that you will be imputed with $0 as income for purposes of child support. 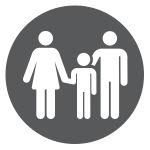 If you have children who are under the age of 18 (or 19 ½ in some unusual circumstances) then custody of your child or children will be an issue. In order to determine who should have legal and physical custody of a minor child, the Michigan Court must make a complex, fact based determination, using 12 factors that look to what is in the best interests of the minor child. The law in Michigan does not presume that one parent or the other should automatically get more or less custody and parenting time. Nor does the law mandate that the Court must assume or presume that the parties should have joint legal and physical custody with equal parenting time. In order to prevail in a custody determination, you must know all of the factors, the types of evidence that are considered by each factor and how to demonstrate that each factor is in your favor. The law is complex and the stakes are high. Having an experienced Michigan Family Law Attorney to help guide you through this process is really important. Simply put, even if you don’t have a lot of issues, the ones you do have can be complex. The following issues can be present in any divorce: property division; child custody; child support; parenting time; alimony or spousal support; inherited property division; tax consequences of divorce; qualified domestic relations orders; international custody disputes and more. Why Hire a Wayne County Divorce Lawyer? A lawyer can act as your guide through the complex maze of getting a divorce. Would you rather go it alone and try to walk to your destination in a strange city you’ve never been to? Or, is it safer and easier to hire a taxi or to get an Uber, to take you to your destination safely and efficiently? A Wayne County Divorce Lawyer can help do that. A good, experienced family law attorney understands the complexities of equitable property division in Grosse Pointe Park, what counts as inherited property, separate property and marital property, and the factors that go into it. They’ve been through it before and can be a guide through the process. Not sure how to present evidence that your ex shouldn’t have custody of your children? Not sure what would even be good evidence to support your having custody? 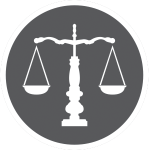 An experienced divorce and family law attorney can counsel you through these complex issue and be your advocate. A good Michigan family law attorney knows what evidence to use to support your position and knows how to get it. Most importantly, though, you want an attorney because you need someone who can not only be your advocate in Court and who understands the rules, but because they can give you an objective view of the case and the possible and likely outcomes, based on your unique factual circumstances. From the initial filing to the entry of a judgment that will make your divorce final, you should hire a Michigan attorney to provide you with experienced, objective advice and advocacy that will help ensure you get everything that you deserve, and not just what you assume you can get. Not to mention, a good, experienced family law or divorce attorney is also one who is familiar with the Courts, the Judges and referees at the Friend of the Court, allowing them to give you insights about what to expect from the Court and what the Court will expect from you. At the end of the day, you can go it alone when it comes to divorce. However, if you really want to ensure that you get the best result for yourself and your children in the process, you should find and hire an experienced Grosse Pointe family law or divorce attorney to assist you. Getting their services at the start of the process will result in a better outcome for you and your children than you could ever achieve going it alone.